We conclude our sixth season in style with an evening of decadent and delicious music from the late French Baroque, including Couperin’s La Paix du Parnasse (“Peace on Parnassus”), Leclair’s second Récréation de Musique, and selections from Rameau’s works for harpsichord, solo and accompanied. 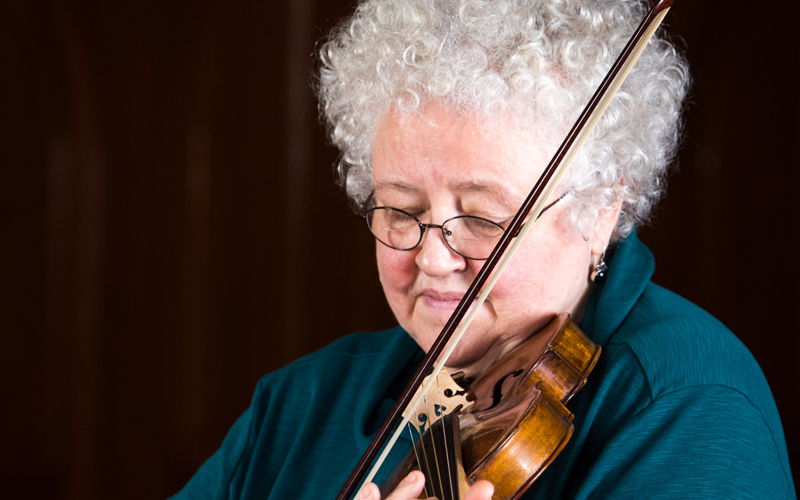 This concert is a co-production with the Portland Baroque Orchestra. In early 18-century France there was an ongoing debate between those who wanted to keep French music purely French and those who favored the increasingly popular Italian style. Ironically the 17th-century composer held up as the model of true French music was Jean-Baptiste Lully, born in Florence and thus himself an Italian immigrant. Arcangelo Corelli was the widely imitated Italian master whose music best represented the new “foreign” style. François Couperin wrote a series of programmatic works paying tribute to both of those famous musicians and culminating in the Sonata “La Paix du Parnasse” (“Peace on Parnassus”) which perfectly blends the two styles. The upper parts, designated respectively “Corelli and the Italian muses” and “Lully and the French muses,” share the same material although notated slightly differently to reflect their different traditions. Leclair and Rameau are the best known French composers from the generation after François Couperin. These contemporaries of Voltaire continued Couperin’s trend of integrating diverse styles into their work, paving the way for the more universal musical language of the Classical era. Jean-Marie Leclair was a French-born violinist who studied in Italy and then returned to work primarily in Paris. Although he composed an opera and other stage works, most of his music is for violin and is often quite virtuosic. In addition to many violin sonatas with continuo accompaniment, Leclair published twelve sonatas for two violins without continuo offering two virtuoso violinists the opportunity to take turns accompanying each other. Historically Jean-Philippe Rameau is most important as an opera composer and as a theorist who codified the musical language of Corelli to establish what is still considered common practice harmony. Rameau was also a great keyboard player who wrote some of the best harpsichord music of his generation. His 1741 Pièces de clavecin en concert are unlike other accompanied harpsichord music of the time in that even the so-called accompanying parts demand highly skilled players.